Please note: this is a third-draft story but is not revised. More than a century ago, dragons and the blue-eyed Shaderi flew together. Then they were brought down by jealous men who feared their power. Now blue eyes are a curse and dragons are a laughingstock, neither seen outside of slavery. Born a slave, her fair features mark her as a witch who is worth less than even the right to a name. 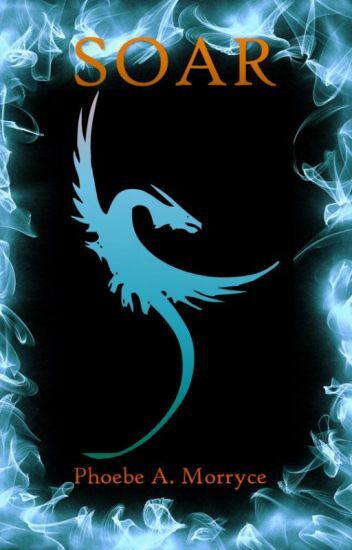 He is a dragon who was raised in the arena, a life that left him unable either to fly or to breathe fire. Thrown together by an ambitious showman, they are united by a bond as old as the legends. Together, they have a hope for something more than the lives to which they were born, if only they can learn to trust each other. The words of a mysterious minstrel point them west, where rumors say their people live in freedom. The road there is hard, and at the end of it they find themselves a world embroiled in a secret war. This new world is ruled  by a king who values tradition above all else. At every turn their new friendship is tested, and they are forced to decide how much they are willing to pay for a place to call home. He wants to help her learn the truth of where she came from, and she wants to give him what every dragon deserves: a chance to soar. Seeryath is a three year old dragon with a horrible past, however things start to look up when she is taken to a dragon academy for reasons unknown to her. Sky is a dragon rider except she's missing the dragon, Sky's been at the academy for years without a dragon and that's not a good thing. The two meet by chance and begin to bond however when Sky stands up for herself and almost dies because of it, Seeryath comes to the rescue. As dragon and rider the two make dangerous enemies and tensions start rising as people start fighting amongst each other. Sky and Seeryath think they know who's behind it all however the moment they can prove it disaster strikes and the moment of order turns to chaos. With help of new friends Sky and Seeryath rise up against their enemies. Though a war has started and the odds are low for the dragon riders to win and sometimes the worst does happen. Told from a Dragon's point of view. Cover by Wishingfornow. The Acadmey of Dragon Riding Excellencecy has been hiden for 425 years, but it had few riders. People were loosing their 'belief'. That, among other things, cause them to be unable to be a dragon rider. In a small town, three men in black, red and gold cloaks are asking people to send forth the thirteen year old children to test for dragon riders. The villages' strongest hunter, a teenage tom-boy, agrees to test. She pulls back her hood, letting her brown braid hang down. Her brown cloak hung loose on her frame. She tests positive, and is wisked away, to the magic world of TADRE, & dragons! "So many plot twists. Love it." It's been two months since the war ended, and many things have changed. The once notorious Thieves of Otar have now become the Keepers of Otar, the kingdom's most elite, set aside for special missions for the benefit of the kingdom. Zia is no longer the nameless, parentless girl she thought she was, and the King is determined to create better relations with Otar's neighboring countries. But despite all this one thing has not changed- Daxtor. He is still alive, and somewhere he and his daughter are in hiding, plotting their revenge. When Daxtor and his daughter launch a sneak attack on the Keepers' Headquarters, people are hurt and Zia finds herself once again hurled into a crazy, wild adventure to save the lives of the people she loves. The planet Migax, owner of Gateways that allow you to travel through the fabric of spacetime, is bursting with technological breakthroughs. Accepted into the prestigious Aksel school,  Summer and her new-found friend Leafsong, a member of a dragon-like species coexisting with humans, hope they have found a chance to secure a bright future within it. Leafsong wants to become a Spark Watcher, a brave protector of diplomats, and Summer wants to find a way to climb out of the poverty that's dominated her family's life ever since she can remember. But Aksel hides more than a mysterious teacher out of Summer's past. An underground organization is rising, a dangerous weapon is being developed, and terrorist attacks are sending the country into paranoia. As the government tightens its grip on the outcasts at the edge of the cities, Summer and Leafsong will be forced to navigate violence, school, family, mystery, and conspiracy in an effort to find their place in a country increasingly headed for dystopia. Enfri is the last sky woman of her village. She is a healer, herbalist, and midwife. The day she is visited by Jin, a beautiful assassin in service to the king, Enfri starts down a path towards the truth of her heritage and the reason why she has been condemned to die by the crown. Using her wits and the magic of a scholarly dragon to survive, Enfri flees into the desert from a coterie of beast-eyed killers.